Eating is a normal daily procedure - and should be the same for body care. The skin cells constantly renew themselves, skin needs a balanced daily care adapted to the skin type to avoid irritations in the long term. The skin type is genetically determined by birth, and every skin type needs a different care program. The present skin condition might vary and should be examined from time to time. It depends on different factors, such as nutrition, season, age, mood and much more. It's most important to find the ideal care adapted to the present skin condition. 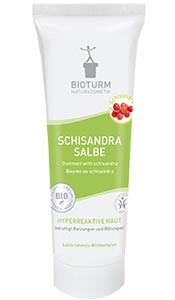 A lotion for dehydrated skin for example contains different active ingredients and substances than a lotion for dry skin. BIOTURM offers the right care products for these and many other skin conditions. 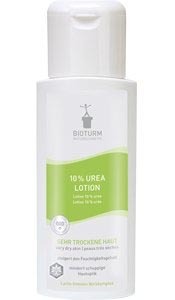 Lotion with urea and panthenol for dry skin with a lack of moisture. 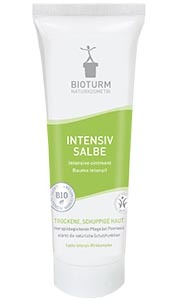 Normalises the skin: irritations, redness and tense feeling of the skin subside. 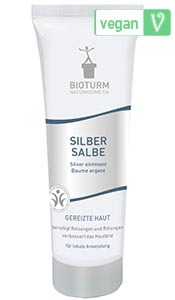 Rich care for dry skin with a lack of lipid and for therapy-related care in case of neurodermatitis and psoriasis. The universal cream for hand- and skincare. Mild and calming care for a smooth skin feeling. The combination of special oils with bees wax form a moisture-repellent barrier in case of extremely dry skin as well as in nursing and incontinence sector. 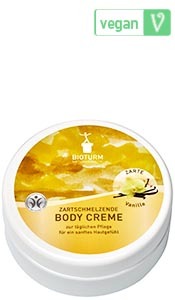 The delicately scented cream for daily application is rapidly absorbed and naturally cares for the skin. Rich care for highly stressed and very dry hands. The tender-melting body care - surrounds the body with a hint of vanilla! 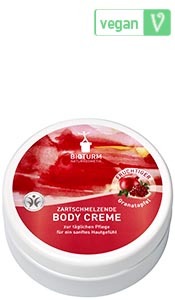 Provides for a soft skin feeling and a fruity fresh fragrance of pomegranate. 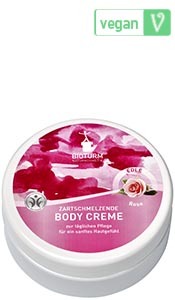 High-quality body care with the noble fragrance of roses. 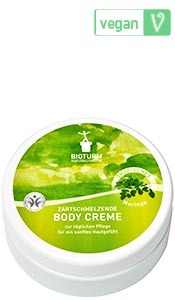 Easily absorbing body care with the tropical freshness of the moringa tree. 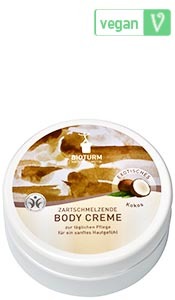 A touch of the Caribbean: Our Body cream with the exotic fragrance of coconut. 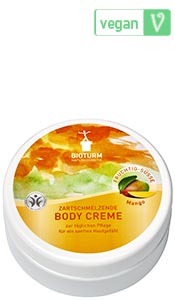 The tender-melting body care - surrounds the body with a hint of the tropical fruity fragrance of mango!